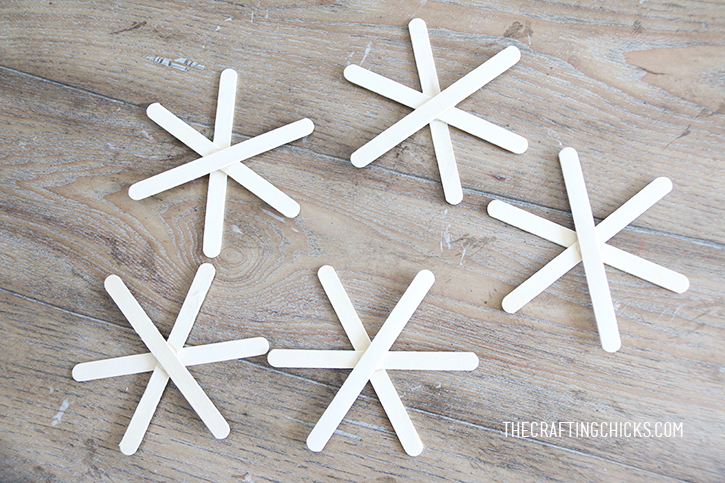 Begin by hot gluing the 3 sticks to each other at the center. This should look like the photo above, with each end evenly spaced out. 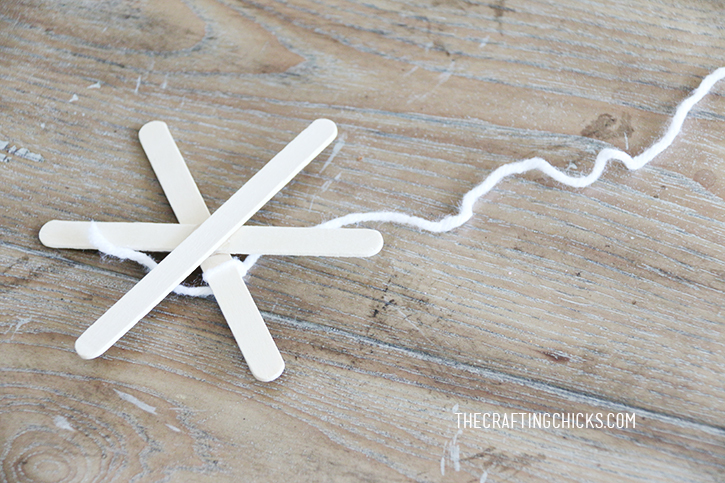 Then, tie one yarn end to one popsicle stick near the center. Begin wrapping. This is so simple. 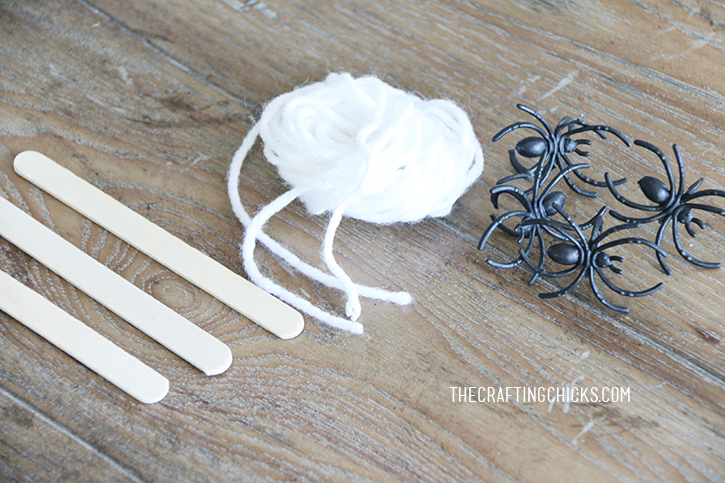 Hold the web in one hand, and while turning, wrap the yarn over each stick. Go over and under, and then onto the next stick, over and under. 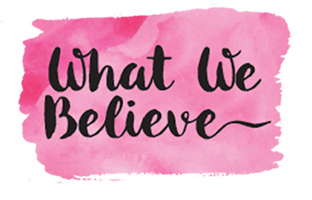 Repeat this until your web is full. 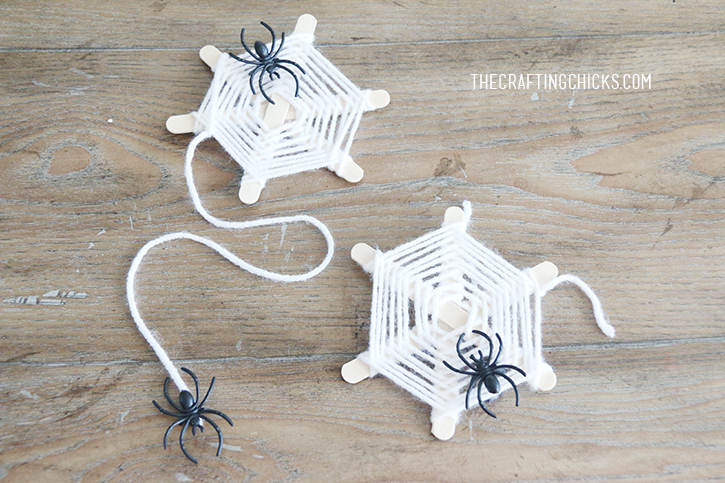 When your web is full, tie a knot on the web with the remaining yarn. You can either clip this off or leave it as a dangling web. 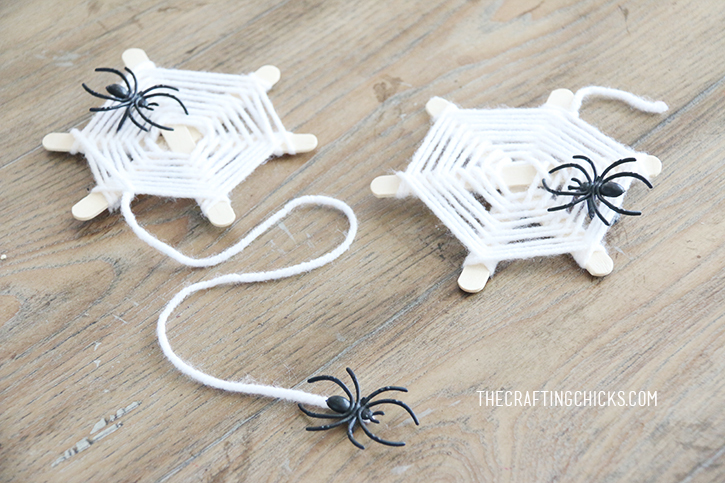 Then add some plastic spiders! 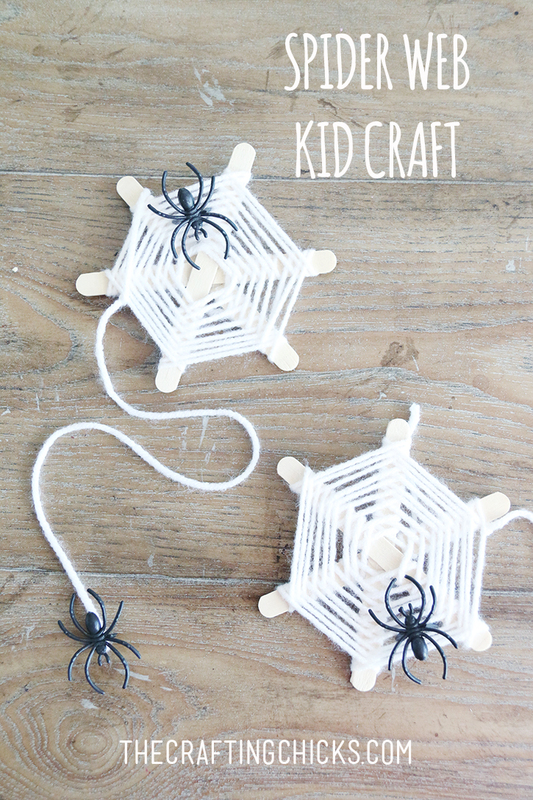 Such a fun craft for the little ones.